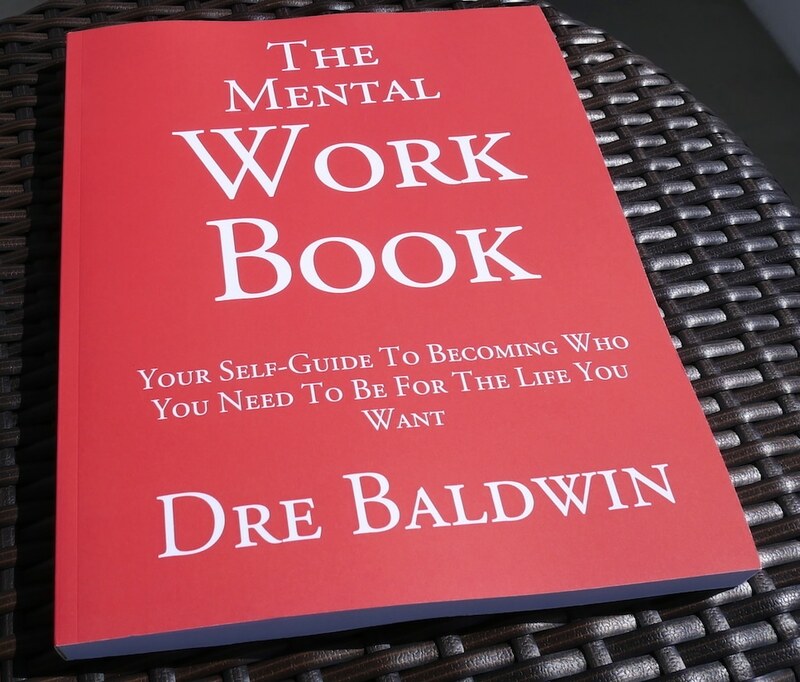 Books And Bundles | Dre Baldwin - Creator & Author of "Work On Your Game"
It's not enough to simply tellyou how to build your mindset of Mental Toughness, Confidence & Discipline. Changing your life from the inside-out, starting with how you see YOURSELF, must be done by YOU. Nothing I say to you will have as much impact on your life as what YOU say to you. Which is why I created The Mental Workbook. The Super You is You at your highest level of self-belief. You've been there before and know what it feels like, but you haven't stayed there. After The Super You, you will. The higher your ambitions, the more setbacks you'll face. What's your strategy to deal with them? What gives you hope to come back the next day? I call it Mental Toughness. The Mental Handbook is where you begin. There are lots of places to look for motivation these days. But you will soon need to move yourself to action and find your outside resources limited - what will you do then? With The Mirror of Motivation, you will look within. The Mental Game is the most important game you'll ever be in. Learn the rules and play it the right way. Dre Philosophy Vol. 0 is three years of Dre's opinions ideas and observations put into 800 pages. Good questions produce good answers and a good life. Better questions produce outstanding answers and your dream life. eliminate worry. You’ll free up mental space and energy to do what you want to do and be who you want to be, starting now. ​Dre got the only two basketball rules he's ever needed in the 8th grade. He named his first book after that advice. Buy A Game details Dre's early basketball story, from his start at age 14 though his college years at Penn State. You need to know how to start a conversation. 25 Conversation Starters is your handbook to talking to people – and getting them to talk to you. The Seller's Mindset is not only for business, but life itself. Use what you learn here to earn commissions, build your businesses, win debates, barbershop arguments, settle on favorable negotiation terms, and generally get your way. Learn exactly what you need to know to start a professional basketball career. How to contact agents, which camps to attend, what kind of game video to obtain, how much money can you make -- all answered. Is there a way to be strategic about this? To strategically build rapport with people and gain their cooperation, before you need it? Yes. 55 Daily People Skills is your Leadership strategy guide.